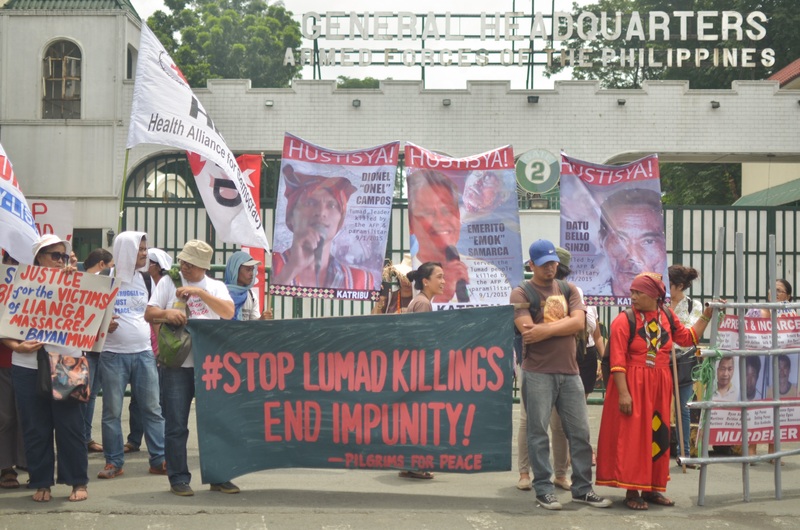 MANILA – Various groups condemned the killing by soldiers of eight Lumad farmers in South Cotabato province, calling it “an act of terror” against indigenous peoples. 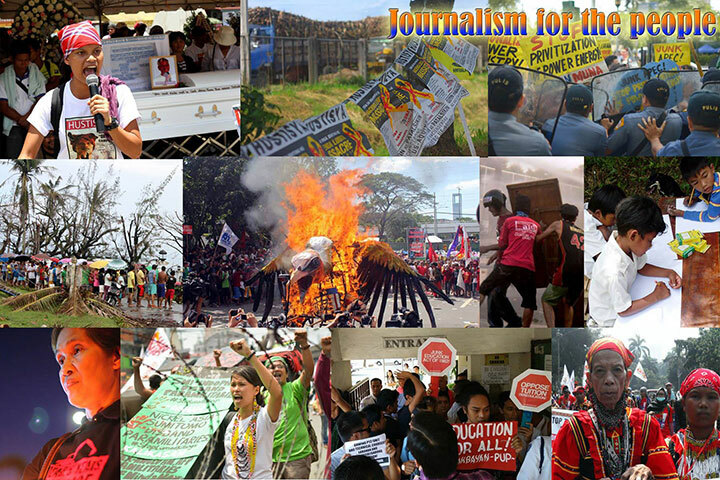 An urgent report from human rights group Karapatan said that on December 3, at 1 p.m., a joint team of soldiers and Marines entered the farm of T’boli and Dulangan Manobo peasants in Sitio (subvillage) Datalbong Langon, Ned village, Lake Sebu, and fired at people, killing eight and injuring two others. The government troops were a composite team of soldiers of the Philippine Army’s 27th and 33rd infantry battalions (IBs) and the Philippine Marines. Karapatan identified the victims as Victor Danyan, his son Victor Danyan Jr., Artemio Danyan, Pato Celardo, Samuel Angkoy, To Diamante, Bobot Lagase, and Mateng Bantal. The two wounded were Luben Laod and Teteng Laod. As of press time, a quick reaction team is still in the community to gather more information. 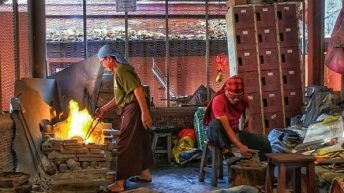 “This is by far the worst attack against the indigenous peoples,” said Datu Jerome Succor Aba, co-chairperson of the national minority alliance, Sandugo. The group held a press conference in Quezon City yesterday, Dec. 5, to denounce the massacre. 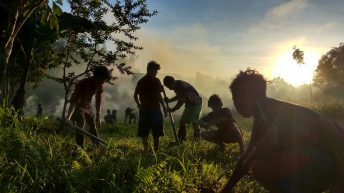 Aba said 140 Lumad farmer families in the area have reclaimed 300 hectares of their ancestral lands from the mega-corporation David M. Consunji Inc. (DMCI), which displaced them to use the lands to plant coffee for Nestle. “The residents were about to harvest their crops in their farms that day…Around 300 hectares have already been replaced with corn and other sustenance food planted by the rightful owners – Lumad communities,” Aba said. “Come December 3, Datu Victor Danyan, not a member of New People’s Army but a community leader, was among those massacred by the soldiers,” Aba said. The Army’s 27th IB is the same unit involved in the massacre of Blaan leader Juvy Capion and her two sons in Tampakan, South Cotabato on Oct. 18, 2012. The Dulangan-Manobos have continuously resisted the logging of forests in their ancestral lands, in a struggle that dates back to the Spanish and American colonial period. It was in 1970, when Marcos crony David Consunji consolidated his companies and rapidly dominated logging ventures, especially in Mindanao. DMCI’s gold and coal mining concessions also adversely affect the T’boli tribes in Ned Village in Lake Sebu, South Cotabato. Pedro Arnado, leader of Kilusang Magbubukid ng Pilipinas (KMP) Southern Mindanao region said the Consunji family is “guilty of landgrabbing,” having long encroached on the ancestral lands of the T’boli and Dulangan-Manobo tribes in South Cotabato and Sultan Kudarat, through DMCI and Silvicultural Industries Inc. (SII). 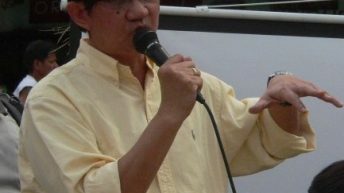 He said the disputed ancestral lands are being claimed by the Consunjis as part of their coffee plantation and logging concession, which and are now planted with various crops for export, such as Arabica coffee, eucalyptus deglupta or bagras, gmelina arborea, acacia mangium, pinus carribea, falcata and mahogany. “The Consunjis are notorious for hiring and employing goons, paramilitary and company guards to harass and implement a string of atrocities against the resisting indigenous people. 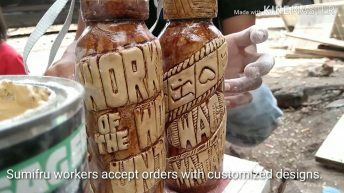 Now the AFP is using this long-standing land dispute as a license to kill Lumad farmers who are defending their lands,” said Arnado in a statement. Today, Consunji is reported to own a total of 10,990 hectares, and its land monopoly would be expanded to over 143,000 hectares, with the reported plan to buy more lands from the Magsaysay family. This covers land in Sultan Kudarat, South Cotabato, and Maguindanao. Meanwhile, in Surigao del Sur, the mass evacuation of 2,162 Lumad continues amid intensified military operations and threats of bombing of the 75th IB in the towns of Lianga and San Agustin. In the past week, soldiers have imposed a food blockade, limiting the entry of rice and other relief aid to the evacuees in Diatagon village. Sandugo said President Duterte should be made accountable for the killings and other attacks on organizations and communities, specially with his statements exhorting the police and military to use force. 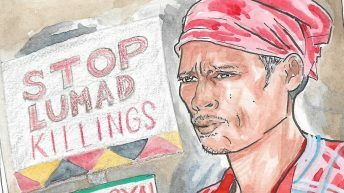 “The real terrorist is the one who sows terror in our communities, he who orders to massacre Lumad, threatens to bomb Lumad schools, orders to kill anyone who try to criticize him. 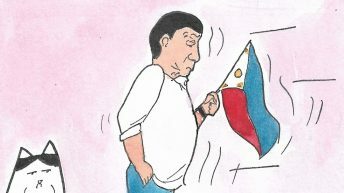 For the national minorities, President Duterte is the terrorist,” Aba said.